At Embever, we believe that emerging wireless radio technologies like NB-IoT usher in a new era of the Internet of Things. 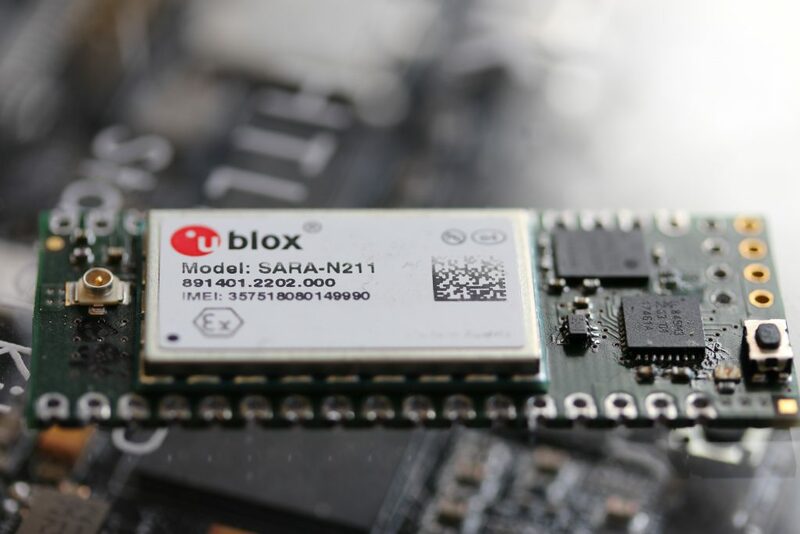 Millions of new applications can be realized with NB-IoT. We have been preparing for the NB-IoT rollout in recent years. We are the first in the market that have prepared a tailor-made offer for companies that struggle with the development of NB-IoT devices. Within Embever IoT Lab, development fears regarding exploding costs can be minimized. Embever IoT Core provides a secure environment on which the devices can be developed and operated. Our goal is to enable companies to develop and deploy highly innovative battery-powered IoT products at scale and faster than ever before. With Embever’s innovative IoT platform we give companies a scalable and reliable tool to easily connect and deploy IoT devices with outstanding battery lifetime. With our passion and expertise for hardware development and rapid prototyping we help and accompany our customers to go to markets faster. We work closely with integrators to build an ecosystem that will breed world class solutions. 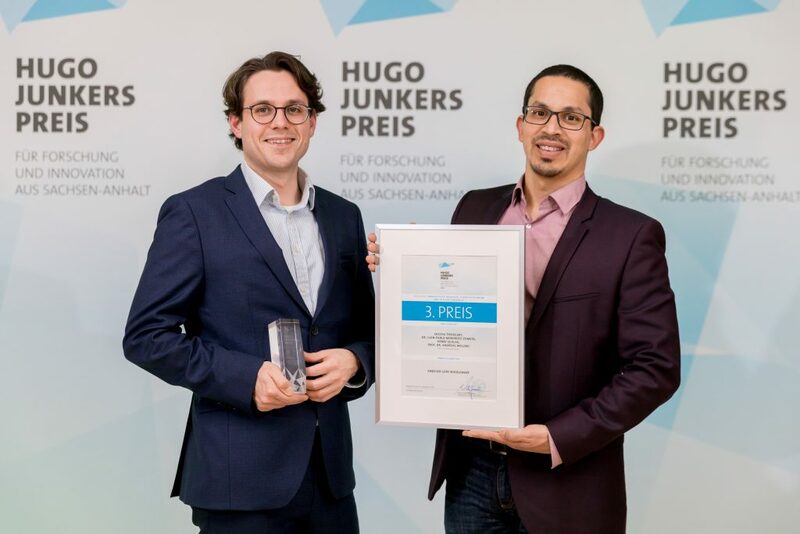 Embever wins the 3rd place category “Most innovative products, services & business models”, for its IoT middleware Embever IoT Core. 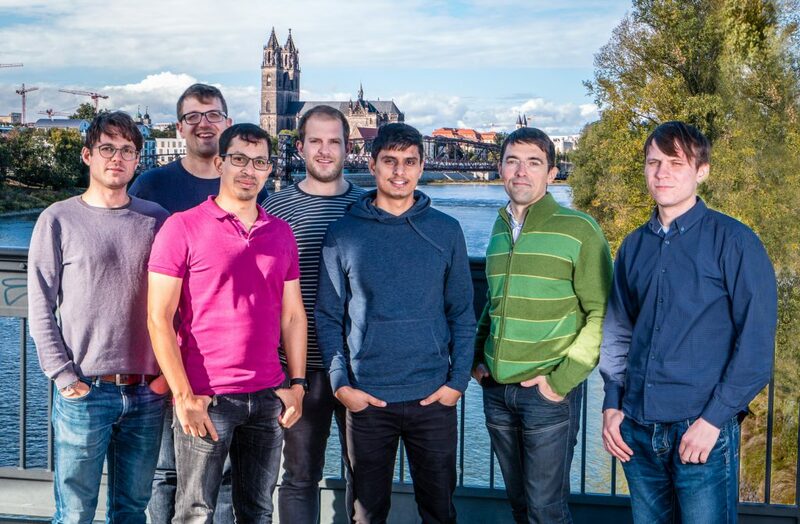 Since Foundation, Yuriy, Oleksandr and Sujan joined our team. Using our Embever File Transfer Protocol, we deployed our first firmware update over NB-IoT. 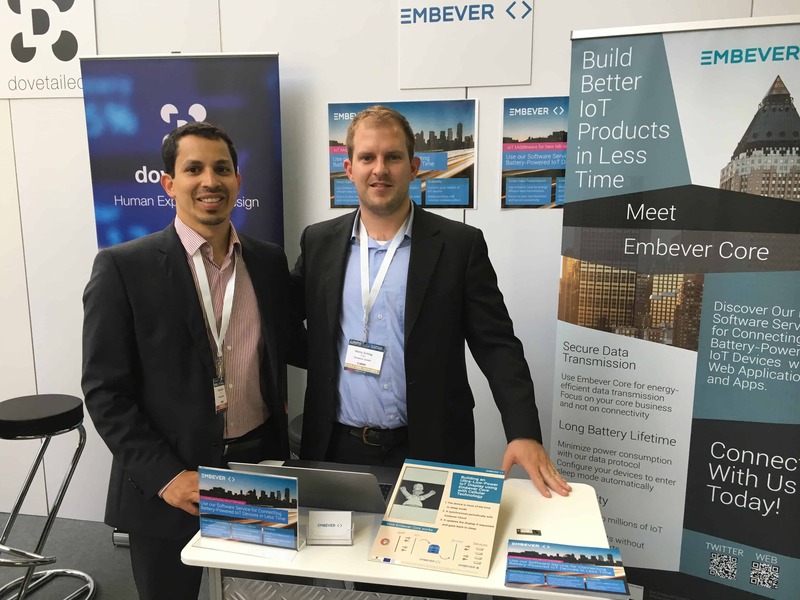 We present Embever IoT Core at IDTechEX Berlin, IoT Global, CEBIT and other fairs. A major step for Embever IoT Core as we implement a file transfer mechanism for NB-IoT devices. Embever is expanding and the previously used rooms are becoming too small. An own development laboratory is set up for the production of prototypes. Embever´s IoT Lab is born. The first employee Yuriy joins the Embever Team. 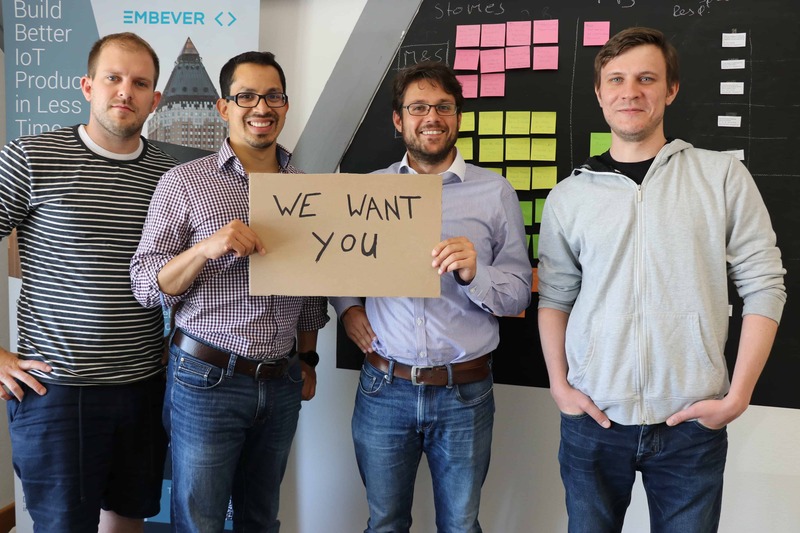 Henry Schlag, Sascha Thiergart, Dr. Andreas Welling and Dr. Pablo Zometa are the founders of Embever. We build our first development board based on NB-IoT. We use them to build first NB-IoT devices and connect them using Embever IoT Core. We show the first IoT prototype connected to Embever IoT Core @Cebit. 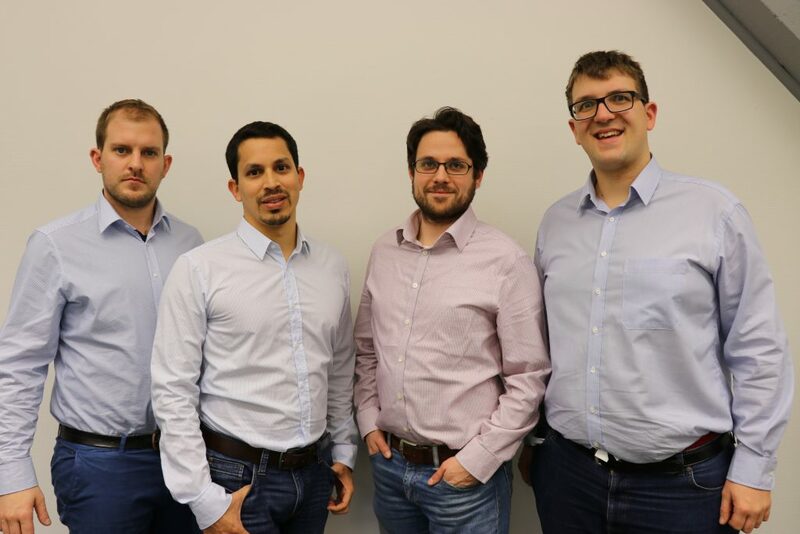 The founders (from left to right) Henry Schlag, Dr. Pablo Zometa, Sascha Thiergart and Dr. Andreas Welling come join forces to find a way how battery operated IoT devices can do more.